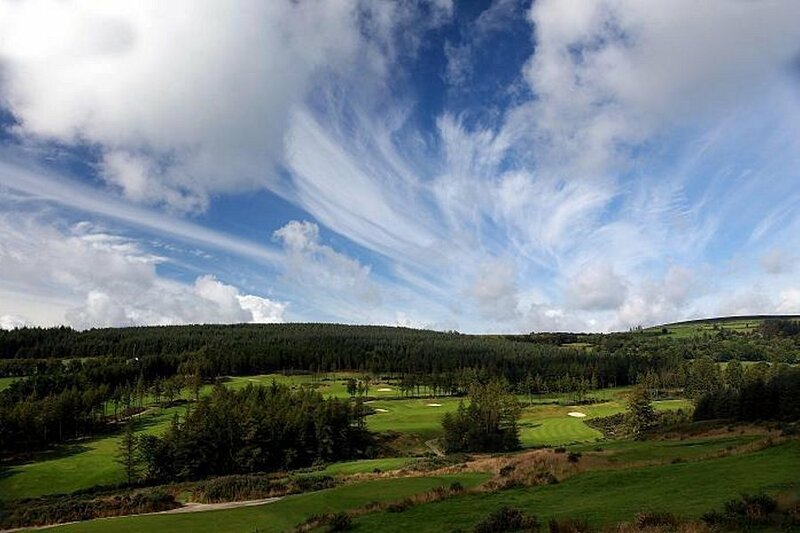 The Glenmalure Lodge is located in the centre of the Garden County of Ireland and is within a short driving distance of several of Wicklow’s finest golf courses. 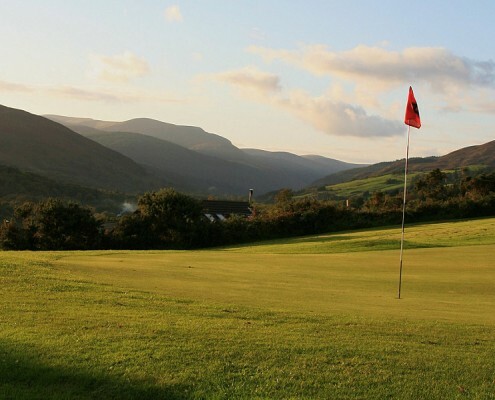 Three of the closest golf courses to the Lodge are located in Glenmalure, Macreddin and Woodenbridge. 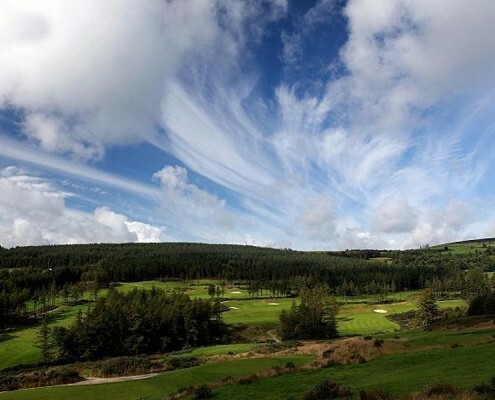 Glenmalure is an 18 Hole, Par 71 course with a course distance of 5,497 yards. It’s design includes sporting concepts by Paddy Gooney. 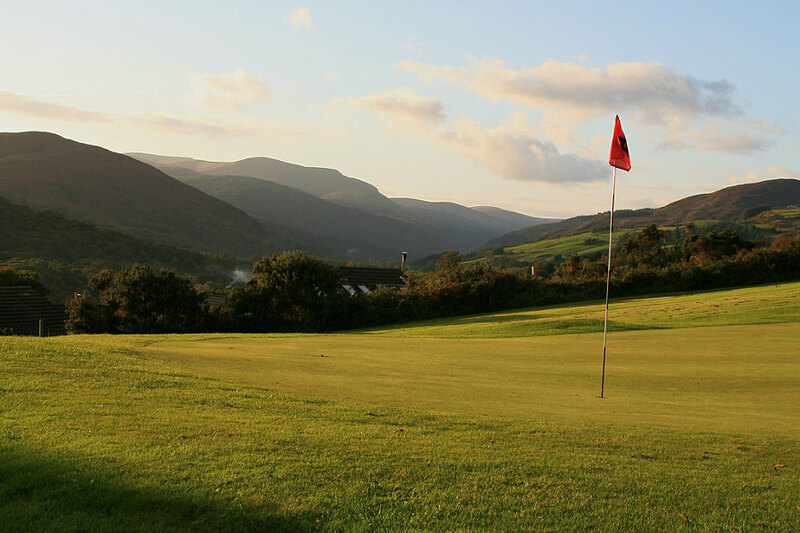 This is one of Wicklow’s most scenic courses with spectacular views of Lugnaquilla, one of the highest mountains in Ireland. The course features include a double green, many natural hazards, stone walls and ditches that are very much in play. Tee reservations can be made in advance although on most days this is not necessary. Macreddin is an 18 Hole, Par 72 with a course distance of 7,174 yards. It has been described by Golf World Magazine as “Outstanding and Truly Spectacular”, was designed by Irish Ryder Cup Hero Paul McGinley. He utilises 160 acres of Macreddin Valley for his first golf course design. Incorporating all the natural elements of the landscape, including statuesque pines, well protected greens, elevated landing areas and a free flowing brook, Paul drew on his years of experience on all the worlds leading courses to showcase his talents. Woodenbridge is an 18 Hole, Par 71 parkland course with a distance of 6,329 yards and was designed by Patrick Merrigan. It is one of Ireland’s oldest golfing clubs that was founded in 1884. Set in the wooded surrounds of the Avoca Vale, the heart of the course is situated on the convergence of the Avoca and Aughrim Rivers. The award-winning clubhouse proudly displays a wealth of photographs dating back to the 19th Century. 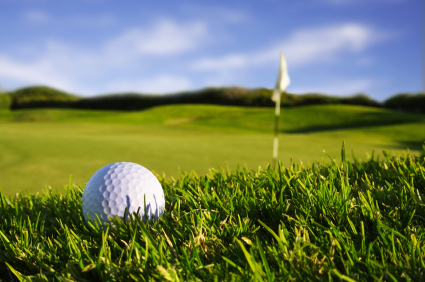 Green Fees: €30-€50 from Mar-Sep / €20-€40 from Oct-Feb.